Make a delicious, hot, and healthy egg white omelette in the microwave in under 5 minutes. Perfect breakfast for busy mornings heading out the door. It’s quick, convenient, protein-packed, and good-for-you. Never leave the house without a healthy breakfast again. Keep reading to get the recipe. Eliminate guesswork and confusion and start seeing results. 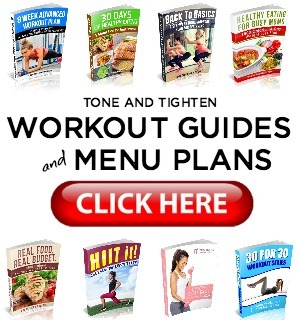 Subscribe to Tone-and-Tighten.com and get our FREE “7-Day Workout and Healthy Menu Plan” delivered daily right to your inbox. CLICK HERE to get it. Eating healthy doesn’t have to be hard- this is a recipe that I have been making for many years. Seriously – this one is my go-to JAM for a hot, healthy breakfast on the go! Here’s the thing – yeah you’re short on time, but you’re also short on INFORMATION! 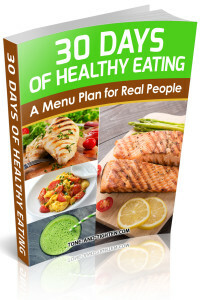 You’re obviously interested in healthy recipes… how about entire menu plans? How about 30 days of breakfast, lunch, dinner, and snacks that are both delicious AND healthy? Real recipes for real people – CLICK HERE to learn more. CAN EGG WHITES BE COOKED IN THE MICROWAVE? Proven by this recipe below, yes you can cook egg whites in the microwave. Once you have separated the egg white from the yolk, it is a simple task to cook it in the microwave and it only takes 1-2 minutes. The key is to make sure that the egg whites have set, which means they are fully cooked. Just note, the texture will be slightly different than when you cook it on the stove. A microwave won’t brown your eggs, so you won’t be able to have crispy eggs. Egg whites also puff up when they are cooked in the microwave, so use a mug that is bigger and has extra room. If you don’t have a mug, use a small microwave-safe bowl. Make sure you don’t overcook it and you’ll have a delicious omelette in no time. When it is time for breakfast, this is an easy meal to pop in the microwave and take it on the go. Are you hesitant to cook eggs in the microwave? You may be worried that it is an unsafe cooking method for eggs, it won’t turn out, or you lack the know-how. Eggs are a great breakfast food, they are affordable, easy and quick to make, and contain plenty of nutritional benefits. One egg contains 70 calories, 6 grams of protein plus vitamins, minerals, and antioxidants. Eggs cooked in the microwave are a healthy choice– they cook fast and evenly. Plus if you are adding vegetables to your eggs in an omelette, you get an extra boost of nutrients. If you don’t think a microwave egg omelette is healthy for a quick on-the-go breakfast, what would be your alternative meal? A granola bar? Give this egg omelette recipe a try- it’s full of great nutrients to start your day and it’s so easy. ARE EGG WHITE OMELETTES GOOD FOR YOU? This recipe calls for egg whites to make the omelette. Eggs are a good choice for breakfast due to their nutritional value, but should you eat the whole egg or just the egg whites? If you compare egg whites to egg yolks you’ll notice a difference in nutrition. The egg yolk contains many nutrients, but also less protein, more calories, all of the cholesterol, and all the saturated fat. Beneficial nutrients in the yolk include calcium, iron, phosphorus, zinc, folate, vitamin B6, vitamins A, D, E, K, and healthy fats. On the other hand, the egg white is nearly fat-free and contains most of the protein of an egg. Egg whites are also cholesterol-free, low in calories, and have similar nutrients. If you ditch the egg yolk, you’ll have 55 less calories (out of 70), less of some nutrients, but also less of the unhealthy nutrients. There’s pros and cons either way, if you are looking to decrease unhealthy fats, cholesterol, and calories, you may want to stick with an all-egg white omelette. If you don’t mind some of the egg yolk, you can always include one whole egg with 3 egg whites for a healthy mix of both. DOES MICROWAVING AN EGG DESTROY NUTRIENTS? Anytime you cook a food, you lose some of the nutrients. The best way to retain nutrients is to cook a food for the shortest amount of time. This makes microwaves the perfect choice- you can cook an egg in as little as 1-2 minutes. If you are worried about eggs losing nutrients when cooked in a microwave oven, think again. A microwave can maximize an egg’s nutrition due to the short cooking time. Microwaves cook food faster, which exposes nutrients to heat for less time. Some people might associate microwaves with harmful radiation. This is a myth. Microwaves do not make food radioactive, the radiation from microwaves cannot chemically damage the food we eat. The good news is it’s safe to cook your egg white omelette in a microwave oven in the mornings. IS IT BAD TO EAT EGGS EVERYDAY? Eggs have a lot of good nutrients, as well as some that are not-so-good for you. If you eat too many eggs you may have a higher risk of heart disease due to a high amount of cholesterol and unhealthy fats. Most people can eat about 7 or more eggs per week with no increase in heart disease (due to the amount of cholesterol and saturated fat). If you are going to eat eggs everyday, it is best to choose egg whites since egg yolks are higher in calories, fat, and cholesterol. Push play on this video to see this recipe. When combined with a protein shake, this is my go-to post-workout meal! Spray a microwave-safe mug with non-stick cooking spray. Combine all ingredients in mug and mix. Microwave uncovered on high for 1 minute; stir. Cook for 1-1 1/2 minutes longer or until eggs are completely set. I love to pour fresh salsa on top. Looking for more healthy and easy breakfasts? 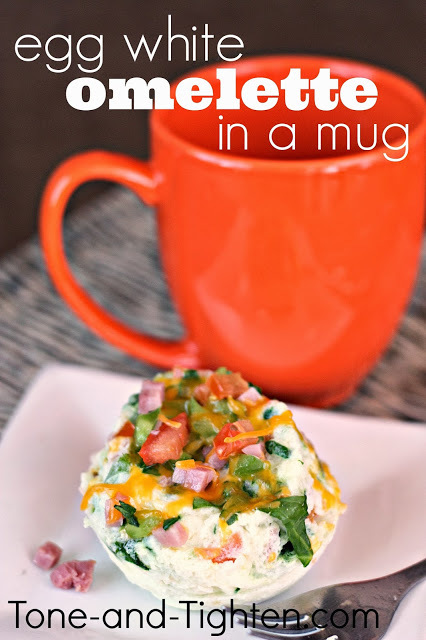 Just saw your link over at Whimsy Wednesday and had to stop by and check out your recipe for this super easy looking mug omelette:) We’d love for you to link up @ The Weekend re-Treat Link Party that’s going on right now over at The Best Blog Recipes! Also Pinned while I was here too! I am a Doctor of Physical Therapy who specializes in exercise prescription. I love being active and love seeing my patients become more active and get into shape. 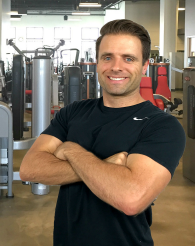 I thought that this would be a good place to share my workouts and ideas with others. 15-Minute Beginner Ab Workout - Without Crunches!